Wiltshires Premier 360 Virtual Tour Provider and Google Streetview Specialist. Book Your Tour Today & Showcase Your Business on Google from just £99 one off cost! Matt Kaye is Wiltshire's Official Google Street View Trusted Photographer and internationally known 360 immersive imaging photographer. Complete customisation and bespoke tours offer unrivalled interactivity. Immerse your customers to a 360 experience today! 14 years experience creating ultra high resolution virtual tours and trained by Fuji in colour profiling, only shoots by Matt Kaye will make it onto Virtual Swindon. We are building the UK's largest Virtual Town and a Virtual Super Hub for Swindon and Wiltshire! Using Streetview technology powered by Google combined with bespoke Multi-Resolution 360 interactive tours and a unique interactive GPS mapping system, Virtual Swindon can offer your business global exposure like no other site can. 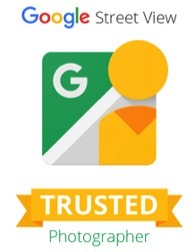 The Street Viw Trusted Programme offers 360˙ Virtual Tours connected to Google Streetview, you can literally walk off the street and straight into your business and from as little as £99 one off payment with no ongoing costs, we want even the smallest business to be able to take advantage of Swindons most advanced Website and reap the benefits of what we do. Our aim to make your business look good! By using 360 imagery and Virtual Swindon we can showcase your Business across the globe and turn online viewers into buying customers. Whatever ideas you may have for an interactive experience, we can photograph, build and host your project all within a budget to suit. Our ultra high resolution and gigapixel bespoke tours start from just £250 fully hosted on Virtual Swindons Cloud Servers. 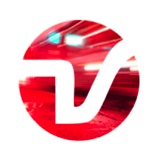 Only Virtual Swindon offers bespoke interactive services all of which can be easily bolted-on and incorporated into your own website, interlinked with Virtual Swindons Super Hub. Not only will we be featuring businesses large and small but we will be showcasing all tourist attractions, places of beauty and Wiltshires hidden secrets. 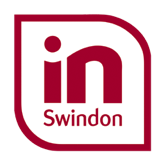 Explore Swindon and Wiltshire like never before and see how we can showcase your business or company and see who's already taking advantage of the power that Virtual Swindon offers. Virtual Swindon is powered by karmaan. All images, photography are Copyright © Karmaan 2013. Use of any of the images and virtual tours without prior written permission is prohibited.